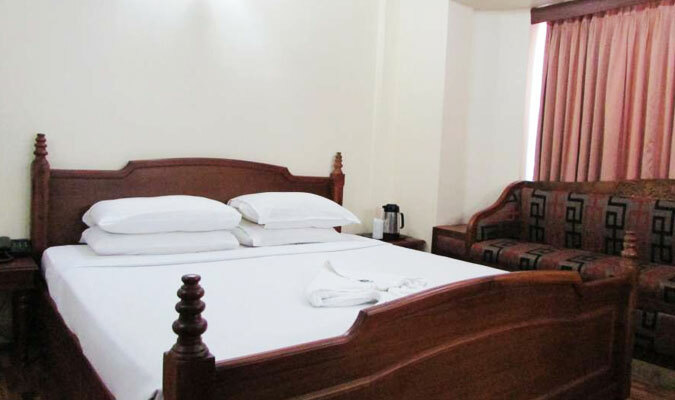 The deluxe 3 star hotel in Cochin The Woods Manor Hotel, is one of the most preferred hotels by all business travelers because of the amazing array of business class facilities provided by the hotel. Also, the hotel’s convenient distance from all the major business centers in the city, and also to the airport and the railway station, the business tourists are lured to this hotel. But that is just not it! The hotel suits and fits the needs and requirements of not only ht corporate guests but also the vacation travelers. The hotel aims to provide an unforgettable stay in Cochin and it delivers the best to all! Kerala Rooms: Designed and furnished in the most traditional style of Kerala, these rooms are pure delight. Deluxe Suite Rooms: Staying in these rooms are pure delight and will provide a perfect romantic getaway to the guests. Luxurious Kerala Suites: These suites redefine luxury and comfort and are reminiscent of cultural heritage of Kerala. Leaves: Enjoy the gourmet of Oriental Chinese, Exciting Continental, Authentic Indian and Traditional Kerala dishes. The live band playing in the background is a delight with a special edition Ghazal night on Thursdays and Fridays. Coffee Shop:Enjoy the delicious coffee with delicious snacks at the Coffee Shop in the hotel.